At CarSense, the staff in our automotive detailer jobs are important- because they make sure each car looks showroom new. Our “CaRenu” process handled by the staff in our detailer jobs is like cosmetic surgery – subtracting years of normal wear and tear from cars in just a few short days. It’s a refurb that goes beyond mere detailing. CarSense customers depend on our reputation for excellence to provide the meticulous work they expect from folks in our car detailing jobs. 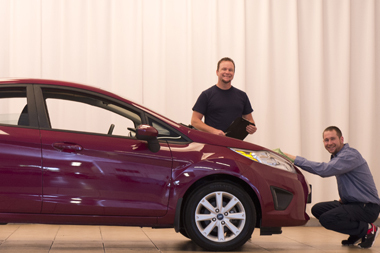 Our customers enjoy a new car feeling without having to purchase a new car thanks to the talented employees in our detailer jobs. If the idea of automotive jobs in a company that believes that good people deserve good things, then join our Talent Network! You may be a perfect fit for one of our car detailing jobs working with a company that supports your growth! We currently do not have any openings for Automotive Detailer Careers at CarSense. If you join our Talent Network, we will email you as soon as similar jobs become available.